Saint Gilori Shah - meherbabatravels jimdo page! 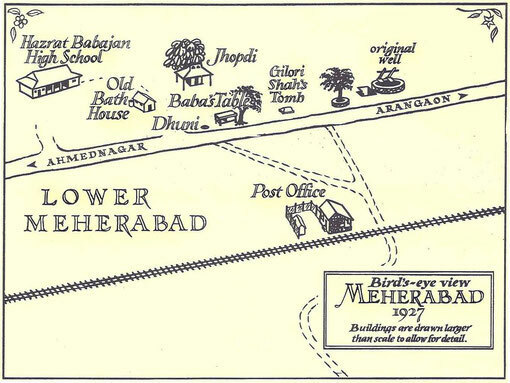 Gilori Shah was still alive when Meher Baba first visited Arangaon during May 1923. 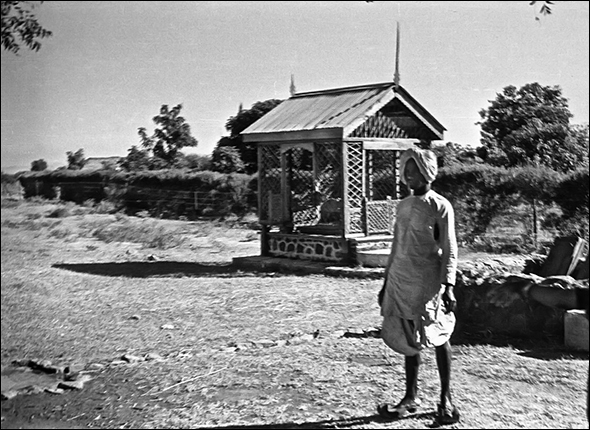 He was a resident of Ahmednagar but, as mentioned earlier, he had his tomb built outside the city. 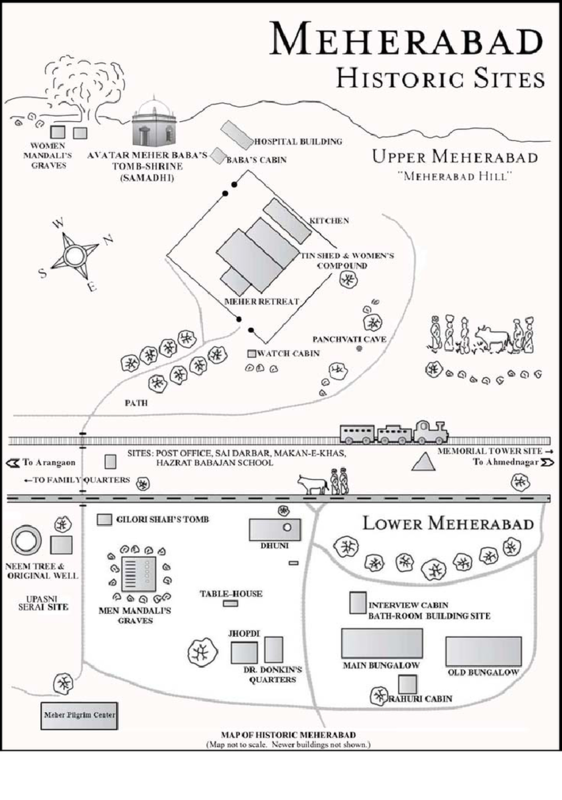 The tomb is now part of lower Meherabad. It is uncertain whether the man depicted in the image above is actually the Saint. Gulmai Irani and her family were living in the Parsi dharamshala in Shani Gulli, Ahmednagar, and during 1921, her husband Khansaheb had completed construction of a new house nearby that he named Sarosh Manzil. Gulmai desired that Upasni Maharaj come and inaugurate the house before they moved in, but her orthodox relatives were averse to the idea of Maharaj (a Hindu) opening the house. Hence, the ceremony was performed according to the Zoroastrian religion. A local Mohammedan saint named Gilori Shah was also invited to the inauguration and the poor were fed. All of their furniture was shifted there, but Gulmai was adamant that she would not stay in the new house until Upasni Maharaj himself came and performed the housewarming ceremony. Later Baba remarked, "After Rustom's wedding I am thinking of moving to some village for a while." Gulmai then suggested, "Why don't you come and visit our property near Arangaon, outside Ahmednagar?" Baba coyly asked her, "Why do you say that?" Gulmai replied, "Your visit has been foretold by a local saint, Gilori Shah." Baba, pretending not to follow, said that he did not understand what she meant. A Mohammedan saint called Hazrat Maula [Maulana] Gilori Shah lives in Ahmednagar. He occasionally comes to our house for a meal; but usually he prefers to keep aloof. He dislikes the presence of any crowd. When Masaji was working in Ahmednagar, he used to take bread and butter to the saint, and sometimes would bathe him. Gilori Shah would often mention that he wanted to go to Arangaon and live his last days there. I thought that it was an unsuitable place for such a personage and would argue, "But Hazrat, who will bring your meals there? And who will look after you in the jungle?" He would frown, saying, "All of these people are of no use to me, and I do not require their help." There were some wealthy butchers who used to pay him respect and who offered him some land. However, he preferred our place and would tell them that he would only settle at Arangaon. He would request me, "Give me a small portion of your land and build a room for me. Take me there and also bring Upasni Maharaj and Meher Baba. Turn the place into a sadhu khanna [an ashram for wandering mendicants and pilgrims]." I would listen to him but tried to dissuade him, knowing it would cause an uproar among our in-laws. One night a year later, I dreamed that I was seated in the compound of a small old house. A child all wrapped in cloth was on my lap. A couple of persons were speaking to me as my eyes gazed downward. I saw the head of the child peeping out from under its covering. The child then sat up, and I saw that he had the face of the saint. I cried out, "This child is Hazrat Gilori Shah!" He sweetly pleaded, "Ma, you are not giving me the land? Where will I rest?" I instantly remembered the land at Arangaon and promised him, "Yes, Hazrat, I will give it to you." The moment I finished speaking, I awakened. I narrated the dream to my husband, telling him that the saint had been insisting on the land for some years, and Kaikhushru promised to fulfill his request. 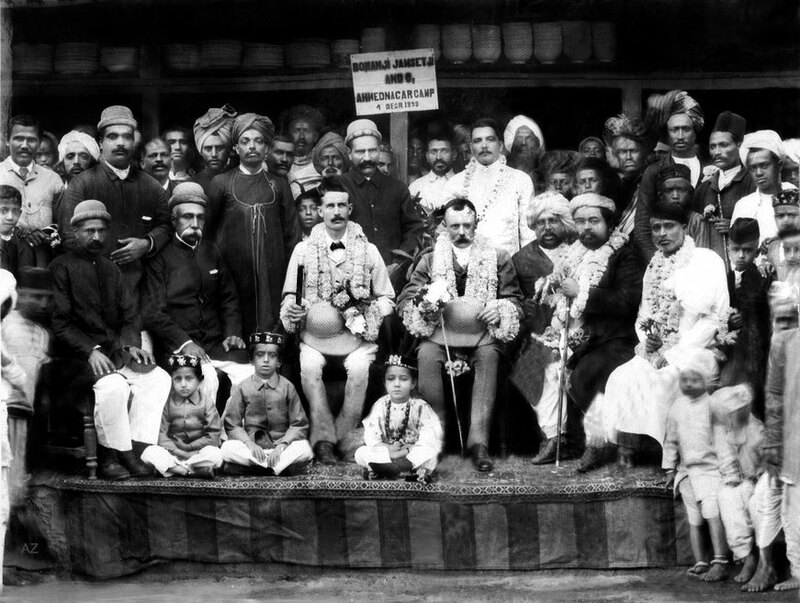 The next day, Gilori Shah, accompanied by some of his devotees, went to Arangaon. There he selected a small plot of land, and told them, "Prepare my tomb here." This statement surprised them, and they pleaded: "But, Hazrat, who will come so far from the city to pay homage here? This is a desolate place and uninhabitable! The saint then reprimanded them: "You are like children. You know nothing! In a short time, this place will turn into a garden of pilgrimage. A great one will come here, and this land will one day belong to the people of the world! Only then will you understand why I am buried here." One day I went with the saint to look at the site he had selected. A mason joined us and the plot was measured and changes were made as directed by him. Then the saint turned to me and said, "When I die, bring me here — escorted by a band. Bury me at this place." I pleaded, "Your Mohammedan followers will never permit the band!" He replied, "Yes, I know that. So you will have to drive them away to do as I tell you. Tell them that I had no caste or creed!" Then he concluded: "Meher Baba will soon come here, and before he does, you should have my tomb erected. All that will happen will be exactly as I am telling you." I promised him accordingly. Baba was glad to hear this story and did not object to Gulmai carrying out the saint's wishes. Gulmai then inquired when he would come to Arangaon. Baba grinned and replied, "I may or may not come!" "You will have to come!" said Gulmai. "We'll see. Meanwhile, construct Gilori Shah's tomb as he wishes," Baba instructed. 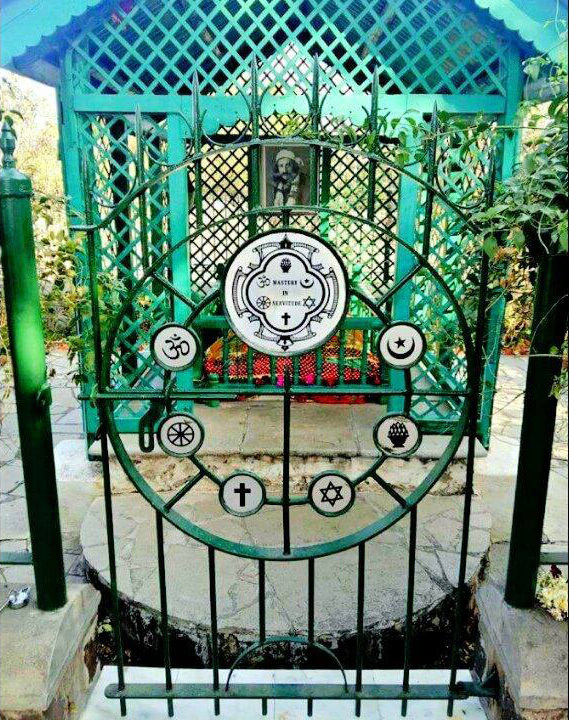 Before Baba came into our life, my mother, my brother Rustom and I used to go to this saint, and my father also knew him. The saint, when he was in the "practical life" had lived in England for a time, where he had been employed as a cook for Queen Victoria. He knew how to prepare English-style cooking, Indian cooking and also about wines, syrups, sherbet, and other things. He knew so many types of Indian medicines. One day, when he was fairly aged, he asked me to accompany him to Arangaon Village to have a look at my father's property. 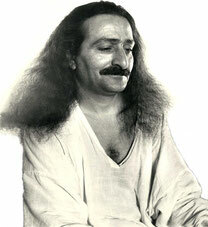 At that time we had heard about Meher Baba but not much. Cars in those days were rare, but I hired a horse carriage and we went the six miles to Arangaon. The saint got down exactly at that well, and he said, "This place is going to be blessed by the presence of a really big man." He didn't mention Baba by name. The saint continued, "This is a very important place, and when I die you should tell your father that I should be buried here." He indicated the place where his tomb now stands. Thereafter, the saint never expressed a desire to me to take Baba's darshan, though the saint knew that Baba had come into our lives. Baba did say that Gilori Shah was a real saint of the fifth plane of consciousness, who later progressed to the sixth plane. But Baba cautioned me not to go see the saint, though he had assured me that the saint's consciousness was that high. One day the saint came to the gate of Khushru Quarters and stood there waiting for me to come to greet him. At this very time, Baba was staying at Khushru Quarters, with the entire mandali. The saint was looking at me from that distance, and I was very attracted to go to see him. Baba was standing right opposite to me, and he said, "No, you should not go, you must not go." I obeyed and Baba said, "You go inside and he will go away." The saint waited for a while and seeing no response from me he walked away. Continuing, after trudging six miles along the Dhond Road, they saw some dilapidated buildings and a small village nearby. When they entered the property, they came across a watchman who informed them that the structures had formerly housed a British military post and were now owned by Khansaheb Kaikhushru Irani of Ahmednagar. The nearby village was Arangaon. 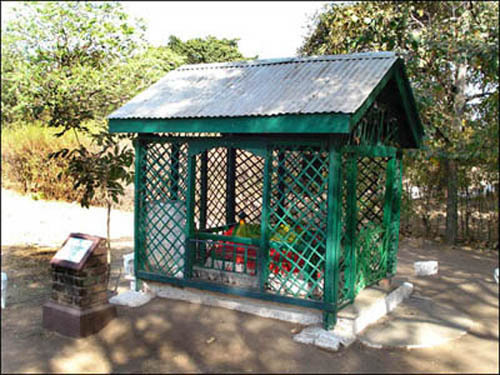 When Baba had first arrived in Arangaon during May 1923, the Mohammedan saint Gilori Shah was still alive, although his tomb at Meherabad had been completed. By the time Baba returned to Meherabad in March 1924, Gilori Shah had dropped his body. According to the saint's wishes, his funeral procession on 16 January ended at Meherabad. 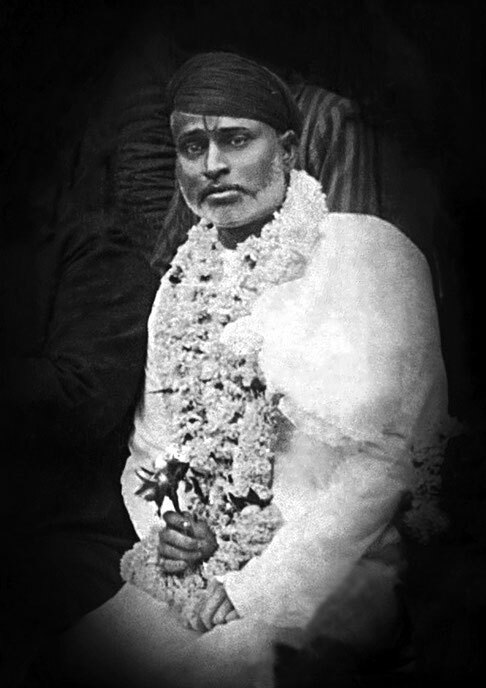 When the saint was buried, there was a dispute among his followers as to which rites to perform — Hindu or Muslim. But someone at the funeral settled the dispute by quoting what Gilori Shah had once said, "For the fakir, there is no sect or religion." Thus, the saint was buried without ceremony, as he had wished. Gilori Shah himself had kept his coffin ready, on which he had inscribed: "He who has died before his death is alive." Gulmai's husband Khansaheb paid the funeral expenses of Gilori Shah. And after a year, a wooden canopy was built over the saint's marble tomb. 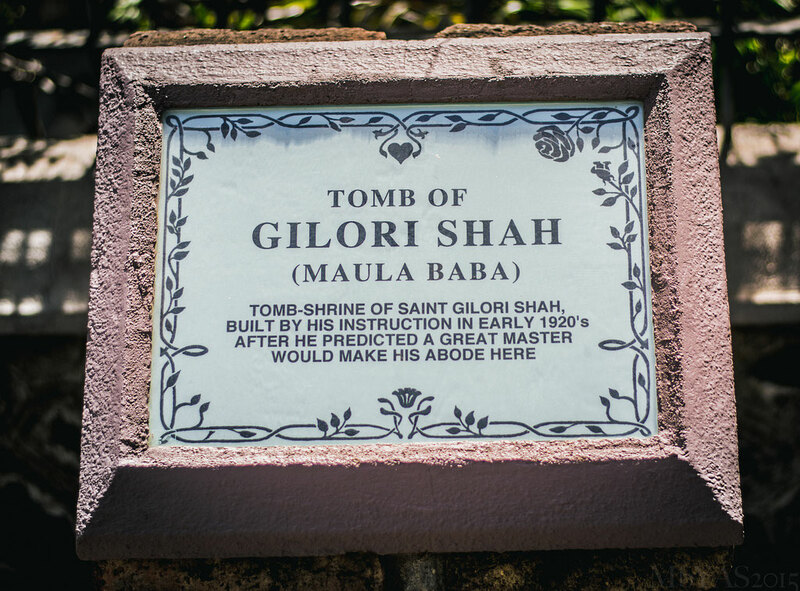 The private room for Baba's personal use was constructed within a week not far from Gilori Shah's tomb.